Industrial Dynamics Filtec Lasetec Laser Coding Printing Packaging Pharma Food . New Life Scientific, Inc. 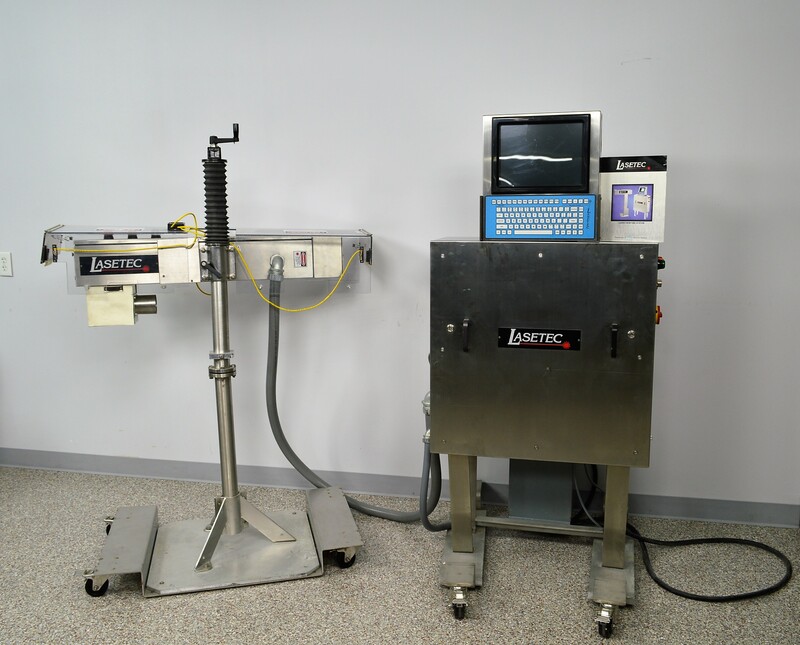 The Lasetec is a laser printer from Industrial Dynamics (Torrance, CA). It produces precise text, bar codes and graphics on packages with a print quality said to be superior to other high-speed coding devices on the market. A laser beam "writes" directly onto HDPE, PET, PVC, paperboard, glass or coated metal. No ink is necessary. This product is in good cosmetic condition and acquired from a pharmaceutical company. The stainless steel construction provides a durable and easy-to-clean instrument for sanitary environments. This high-voltage instrument was powered on in the technical shop for testing. The main laser could not be tested because, the techs hypothesized, there may be an upstream switch (communication related requirement). The technicians were able to record the tracking laser over an image which is available upon request. It is possible that this tool may require a replaced laser. This product is ideal for a customer that is familiar with laser coding systems and can easily replace the laser, if needed.